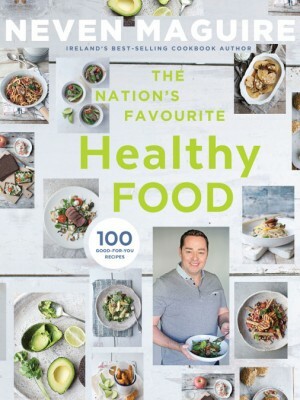 Join Neven and discover a new way of eating that’s not only delicious, but good for you too! 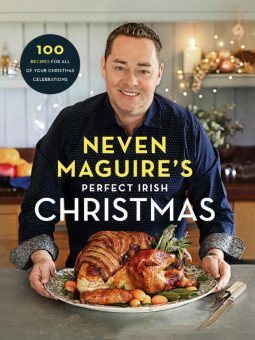 In this fantastic new collection of recipes, Ireland’s most trusted chef, Neven Maguire, shows you that healthy eating doesn’t need to be complicated. 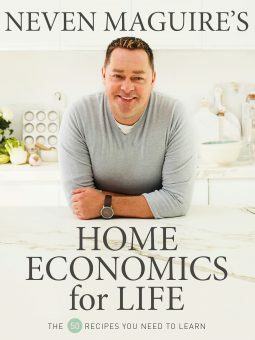 You will discover a fresh approach to food and cooking with 100 new, light and modern recipes – each of them a healthy choice. 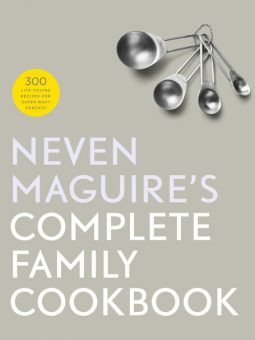 Every day, Neven meets people from all over the country looking to navigate this new world of healthy eating. But it seems we’re not quite sure what healthy eating actually is. Is it low fat? Or low sugar? What about carbs? And wheat and dairy? Ideal for those looking to make a few small changes to their diet to look and feel better, Neven is on hand with simply healthier choices for lunch boxes and the kitchen table. In addition to the familiar sections on beef, chicken, fish, desserts and snacks, you will find healthy alternatives to takeaways, inspirational ideas for carb-free lunches, omega 3 rich suppers and nutrient-packed vegetable juices. You will also find recipes for sugar-free, dairy-free and wheat-free dining that don’t compromise on flavour.